I am adding a treat for you this weekend. 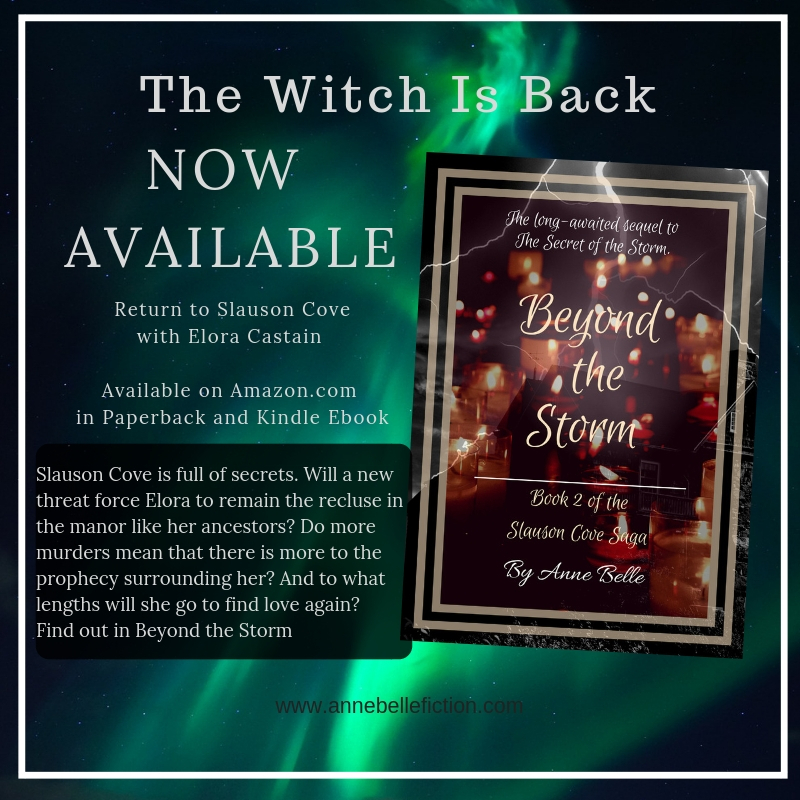 As I’m prepping for some pretty big changes, I’m hoping that you’ll enjoy an excerpt from my debut novel The Secret of the Storm. Remember that it is available for purchase on Kindle and in print through Createspace and Amazon.com. Parkside Brew House, the local coffeehouse, seemed to be a vintage favorite; with its café tables, large windows, and counters full of petit-fours and pastries. It was picturesque. Richard Wheadon was oblivious to this part of his surroundings. He saw it daily. He was lost to a momentary obsession. In the quiet corner beyond the pastry case, a table played host to a woman who was reading a brown paper-covered book. She sat alone; with curly auburn hair that was twisted over her shoulder, thick eyelashes, and a seeming perfectly shaped mouth. Her eyes rarely left the print. A silver necklace held a charm that centered on her chest and her glasses rested on her nose. A long jacket was draped over a chair beside her. A notebook and pen accompanied her ceramic coffee cup bearing the logo of the place on the dark wood table in front of her. Richard had been sitting at the opposite end of the lounge watching her for the past few minutes. He watched her making notes in the notebook. He drank in her careful consideration of the text she was reading. He had been intrigued at her expressions and the way her brow furled as she read from time to time. He’d spent the past ten minutes talking himself up for rejection and arguing that he quite likely, stood no chance with such a beautiful creature. After all, he wasn’t the epitome of masculinity. Being such a bookish person, he wasn’t prone to long hours at the gym. Nor was he the athletic sort to take up jogging or biking. He walked a college campus on a daily basis out of sheer necessity, not to impress women. In truth if he had been able to afford one of those Segway devices, he would have been thrilled to use it to get about the campus. Rick, as he was known to his friends and colleagues, had always had to rely on his knowledge of poetry, literature, films, and the arts to get women. Dating was something, unlike his career as an English professor, that he had never been a success at. Granted he was not without companions, but dating was not nearly as exciting, in his opinion, as people made it out to be. He preferred to get to know someone. Not spend a thousand dollars on a meal trying to overcompensate for his lack of fashion sense and physique. He liked to think that this was a conscious choice, but the fact was, he was an English professor. Along with that lack of fashion sense and physique, came the English professor’s salary; that had little chance of impressing anyone. He didn’t think he was bad-looking. He wasn’t lean precisely, but he wasn’t stocky or well-built. Rick was just not a typical guy. When he looked in the mirror in the mornings he saw a bumbling schmuck just trying to make it through the day. And every morning he considered what would happen if he just stopped shaving and grew a beard. He thought that it might make him seem more mature to some women. But, the reality was that he would sink into the job and forget about the idea of women until moments like this – when he saw one who simply captivated him. Having gathered his courage, he gathered up his books and his own paper cup and started over to her table. He paused just a moment when he reached what he thought of as her personal space. Thankfully, she didn’t seem to notice his hesitation. “Hi,” he said. “Hello,” she replied, as she looked up at him with captivating hazel eyes. She offered him a warm smile. “Is this seat taken?” He indicated the opposite seat with a nod and smile. For a moment, it crossed his mind that she may have thought that he wanted to take the chair for another table. This had happened to him before. But then, she told him to have a seat. Her smile broadened and when she spoke, there was a chuckle beneath her words. Her amusement was something Rick found instantly soothing. That small laugh was like music to his ears and he couldn’t help but let his own match hers. At least, it seemed to help lessen his fear of being completely inadequate. “What brings you back here; work, love?” He wanted to wince as that last overly inquisitive word flew from his mouth like an unexpected bat from an old attic window. Somehow, he held it back. “Neither, my grandmother passed away actually. I am seeing to her remains and taking possession of the house she left to me.” Her smile that had previously shadowed the light on her face, now fell into a line. Only the flimsiest curves at the edges of her mouth, provided any clue that it had been there at all. “You’re Alice Walsingham’s heir then?” Rick asked in disbelief. “I’m afraid I am,” she smiled her half smile. “You’ve my sincerest condolences for your loss.” Rick could feel a mask of incredulity creeping up onto his face. He did his best to shake it off. “So, you are staying at Walsingham Manor?” he asked, perhaps more quickly and sharply than he had intended to. Rick sat back in his seat and cocked his head with the best smirk he could muster. “For as long as I can remember there have been stories about that house and your family. Especially about your grandmother,” he said. “Stories? What sort of stories?” she leaned on the table with her elbows propping her chin up. A curious grin forming on her lips. “Why are you staying if it will cause that big of a stir?” he asked, hoping that the awkwardness of the moment had passed. He watched her expression change to puzzlement as she considered the question. After a long pause, she drew in a deep breath and answered. “True, and I’m sure you were the apple of her eye,” Rick said with a wink. He thought that it may have been the smoothest thing he had done all afternoon. Rick stood with her and smiled as she gathered her things from the table. “I hope I’ll see you around town. Maybe we could have lunch?” he asked, knowing full well that the day-date had been the touch of death to similar situations in the past. But, somehow it rolled off his tongue like an old song he had been rehearsing it in the shower. She said nothing; snatched his smooth, brown cardboard cup from his hand and her ink pen from her purse. She scribbled something on the side and handed it back to him. She smiled and backed away. I am an author and blogger living in East Texas. Living life, writing supernatural suspense fiction, and enjoying my family and friends. 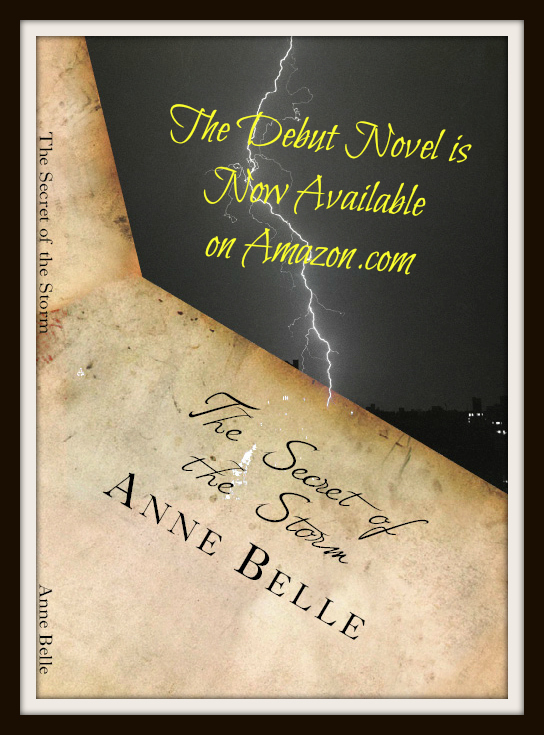 Posted on June 8, 2013, in Excerpts, The Writer's Life, Writing & Publishing and tagged Amazon, Anne Belle, books, excerpts, Kindle, novels, reading, summer reading, The Secret of the Storm, TSOTS. Bookmark the permalink. Leave a comment.